We’ve come to approach “reunion” or “comeback” albums with a great deal of trepidation. So many times we’ve built ourselves into a frenzy of expectation waiting for new albums from re-assembled lineups from great days of yore (and yore was such an awesome time. Loves us some yore…) only to be disappointed when the release fell flat. 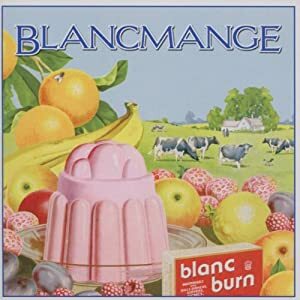 The big exception was the tremendous return from Blancmange last year, an album that was one of our picks for the top ten of the year, and well deserved, that. So, as we do every year, we have assembled the individual songs that made up the soundtrack for Softsynth this year. We are generally more about albums than singles but there are individual songs that stand on their own as outstanding. Some of these come from albums we found underwhelming as a whole, some were one-off singles, or standouts from excellent EPs. Softsynth made a total spectacle of itself in the lead-up to the release of Orchestral Manoeuvres in the Dark’s reunion album, History of Modern, last year. We talked about it in such giddy anticipation that “History of Modern” still ranks in the cloud next to this post as one of the most used keywords on the blog in all three years of our existence. See, O.M.D. was so crazy-influential on a young Softsynth and such a gateway drug to the hard stuff in the world of electronic music that their back catalogue isn’t just loved in memorium, it’s downright revered. Such is what happens with the passage of time after the demise of a much-loved band. Our “Bands We Miss” series speaks directly to this nostalgic longing (and also points to just how badly this blogger lives in the past). It seems like every band we’ve written about in our Bands We Miss series over the past few years have reunited and returned to the scene. Too often these reunion efforts, while entirely welcome, are also underwhelming as compared to the built up anticipation. Rare is the “come-back album” that actually manages to capture what made the artist great in the first place let alone actually improve on the older work. British duo Blancmange never got the appreciation they deserved in their day. 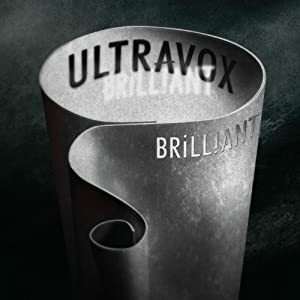 They got their start with an instrumental track on Some Bizzare Album, which also featured the first work from Soft Cell, The The and Depeche Mode, but never quite broke through in a meaningful way. Neil Arthur and Stephen Luscombe released three albums between 1982 and 1986 – Happy Families, Mange Tout and Believe You Me, each a little more rich and complicated than the previous. They never really enjoyed much in the way of mainstream success but each album sported a single that ended up getting some airplay, “Living on the Ceiling”, “Don’t Tell Me”, and Lose Your Love”, respectively. A 1984 opening slot for Depeche Mode was the highlight of the band’s exposure to the masses, but it was short-lived. What was unique about the band was their willingness to embrace unusual musical styles, particularly Indian motifs (which Luscombe continued with his short lived post-Blancmange project West India Company, which also briefly featured Vince Clarke of DMode/Yazoo/Erasure fame). They made a number of left turns that surprised and made the band stand apart from the rest of the electronic bands that populated the Golden Era. Baroque stylings, a capella tracks, ABBA covers, nerd-smart lyrics, across the board they continually surprised and were a welcome addition to the movement, and today, sorely missed. And on we go. We arrive at the 80’s. There were many more great albums that saw us through the tail end of the 70’s from Can, Throbbing Gristle, DAF, Neu, Einsturzen Neubauten, even at very end the Silicon Teens, but while all made an indelible impact on different aspects of the genre it would be some time before the more industrial acts, in particular, felt their true resonance (Neubauten in particular were ridiculously influential, and yes, important to the growth of the genre, but their influence owed more to a movement, to a sound, to a general sense of pushing boundaries and experimentation than to a particular album in my opinion. I’ll revisit Neubauten in a separate post before long, because frankly, they deserve it.). The next major waves were in the synthpop vein. For it was this subgenre that opened the doors to mainstream audiences finally embracing music made by machines in conjunction with their humans. Their influence is still felt today.